Brussels, 11 May 2017. The EU and Vietnam conclude negotiations on a Voluntary Partnership Agreement (VPA) on Forest Law Enforcement, Governance and Trade (FLEGT). The agreement will help improve forest governance, address illegal logging and promote trade in verified legal timber products from Vietnam to the EU, and other markets. After nearly six years of negotiation, on 11 May 2017, Mrs Astrid Schomaker, Director for Global Sustainable Development of the European Commission’s Directorate-General for the Environment and Dr Ha Cong Tuan, Vietnamese Vice-Minister of Agriculture and Rural Development initialled the text of the FLEGT VPA. This marks the formal conclusion of the negotiations. The two sides will now undertake a legal review of the negotiated text which will then be followed by translation of the Agreement into the EU's official languages and Vietnamese. Before the agreement can enter into force, each Party will have to complete the procedure for signature and ratification of the Agreement in line with its internal procedures. To implement the VPA, Vietnam will develop a timber legality assurance system to ensure that its exports of timber and timber products come from legal sources, including systems to verify that imported timber has been legally harvested and traded in accordance with the relevant legislation in the country of harvest. The agreement also provides for the establishment of complaints mechanisms and independent evaluations, as well as commitments to involve stakeholders in its implementation and on disclosure of information. A Joint Implementation Committee will oversee implementation of the agreement. Pending its entry into force, the Parties have also agreed on key elements for Interim governance arrangements and other measures to prepare for implementation of the Agreement. 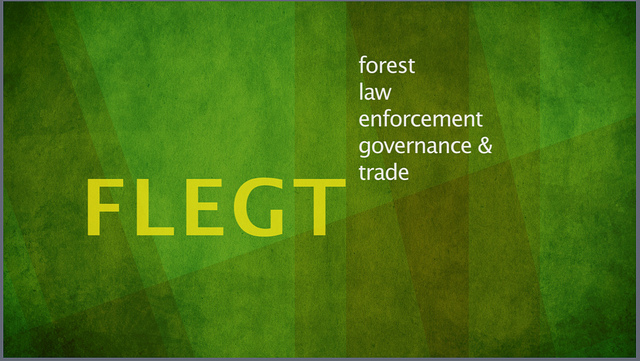 Once the VPA is fully implemented, Vietnam’s shipments of timber and timber products to the EU will have to be accompanied by a FLEGT licence, demonstrating their legality. Before the start of FLEGT licensing, there will be a period of implementation and assessment to verify that all the commitments outlined in the VPA have been fulfilled and that the system put in place meets the criteria to operational readiness as set out in a dedicated Annex to the agreement. The text of the EU-Vietnam FLEGT VPA.